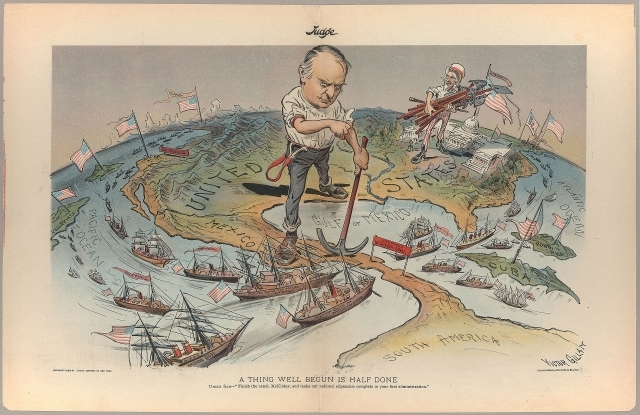 In this extensive podcast series, Dr Alex Goodall of UCL looks at the growth of the United States as an international power from the end of the American Civil War through to the early twentieth century. This was a critical period for understanding the United States rise to superpower status in the twentieth century. Dr Goodall asks whether the US can legitimately be viewed as an empire despite its revolutionary heritage and humanitarian objectives. He traces the rise of US power to its rapid industrialisation and resulting economic and military growth. He examines the American self-image as a muscular nation with a ‘Manifest Destiny’ to take on a leading role in international affairs, and explores the tensions between progressive aims in foreign policy and the harsher realities of the US occupations of Cuba and the Philippines. 1. Is the United States an Empire?